If you’re not using PPC (pay per click) ads to promote your real estate listings, you’re missing out on a powerful, affordable marketing tool. Real estate PPC strategies, also known as search engine marketing or SEM, are a smart investment that can yield amazing results for real estate professionals, even those who have a limited advertising budget. Real estate PPC strategies allow you to tightly control your marketing spend: they require only a small investment to get started, you can choose the exact CPC (cost per click) and cost per day you are willing to spend, and campaigns can be instantly stopped or modified at any time. Our marketing experts will configure all the options to create tightly targeted real estate PPC strategies. We can configure your listing ad so it appears to buyers across the country, in specific states, or in a particular zip code, or only to customers who have selected your targeted language as their interface language. To determine the best options, each listing will need to be assessed, taking into consideration whether it is the type of home that will appeal to buyers relocating cross-country or if it is a more modest dwelling that typically attracts local buyers. Another factor to consider is whether your listing will be of value to someone performing searches in a different language, as search ads are text only. Then we will select the options that best fit your listing. Google has three types of campaigns: Search Network only (text ads that appear when chosen keywords are searched), Display Network only (ads that contain text and media that will appear on websites and other placements related to your keywords), and Search Network with Display Select (combines the two). Display ads allow you to use pictures, but since you’re trying to tightly target your listing ads, we will typically start with Search Network only. We will incorporate the other types of campaigns as well if we determine they are the best way to market your listings. We will set up real estate PPC campaigns that reflect the cost per click and total cost per day that you are willing to pay. We’ll recommend spending limits that will help you achieve your desired ROI. We’ll select the optimum time and days to run your PPC listing ads, as well as the frequency with which they will appear. We typically set our real estate professionals’ PPC campaigns to run at all times and days to achieve the widest marketing reach, modifying these settings if specific listings warrant the change. The success of PPC strategies rests on choosing keywords that buyers searching for your listing would use. We’ll select the best keywords for each of your listings, focusing on the specific features that make it unique and attractive to buyers. The more popular your keywords are, the higher the CPC is – for example, “Miami pool homes” would be more expensive than “Pinecrest FL pool homes”. For Sale Marketing’s PPC department is experienced at balancing the cost of PPC keywords with the marketing reach each can achieve to create strategies that will get you the results you want at a price you can afford. We’ll select a mixture of keywords and long-tail keyword phrases to help you reach your targeted audience. PPC ads only give you a very limited space with which to market your real estate listings, so our marketers will create copy that sells your listings as succinctly and vividly as possible. We don’t try to list all features, instead just focus on the specific ones that buyers use when searching for properties similar to your listing. We’ll use keywords in the title and body of your ads, and describe your listings in terms that bring them to glowing life. Visitors that respond to PPC ads are only interested in the specific listing they click on; you will lose them if their click lands them on your regular real estate website’s home page. To prevent these potential clients from losing interest, we’ll create a custom landing page devoted to each specific listing with pictures, features, neighborhood information, and more. 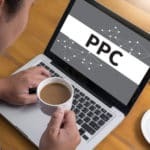 To make sure that you are getting the highest possible ROI from your PPC strategies, the marketers at For Sale Marketing will employ a variety of tools to assess the strategies’ success. We will carefully track clicks, traffic, and conversions to calculate the effectiveness of your ad. We’ll report where and when your clicks are coming from, and provide you with full information on keyword performance. We will leverage this information to refine your PPC strategies and make them more effective. When you’re ready to put real estate PPC strategies to work for your agency, call For Sale Marketing. Our marketing experts can create robust PPC campaigns to promote your real estate listings and bring them to the notice of motivated search customers on the web, around the neighborhood and around the world.